Well, you get to enjoy watching movie at the same time donate food for the orphanage home children. Thumbs up to Subang Parade and MBO for running this kind of campaign. After a week, the cans of food will be distributed to three orphanage homes (in Subang area). 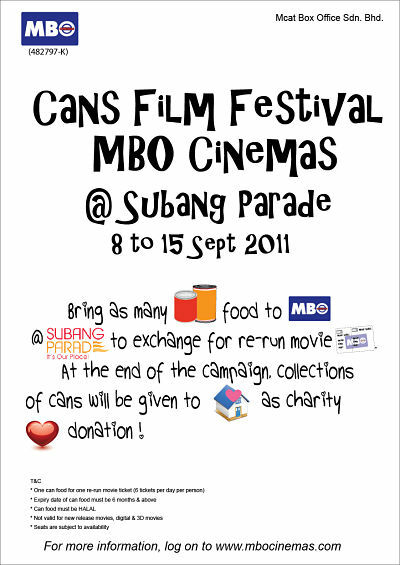 MBO Subang Parade will also invite the orphans for a movie screening. Kindly take note that this campaign is ONLY at MBO Subang Parade.